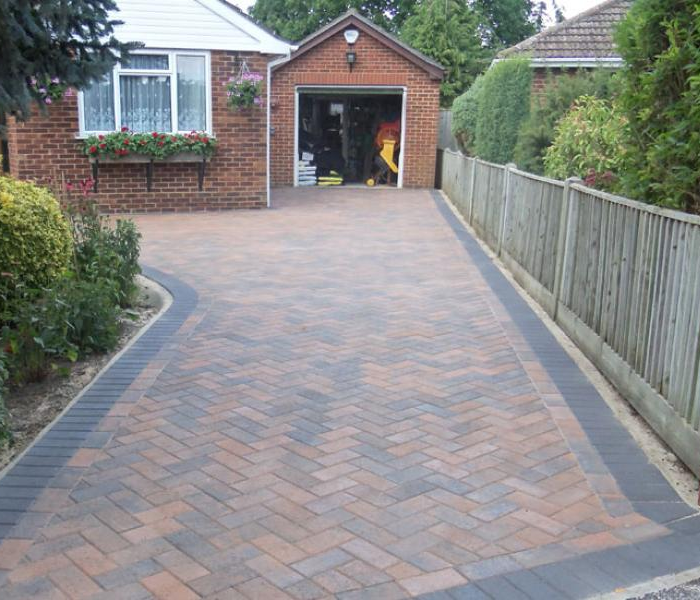 Interlock driveways create a unique, beautiful entrance to a home; much more eye-catching than traditional asphalt. 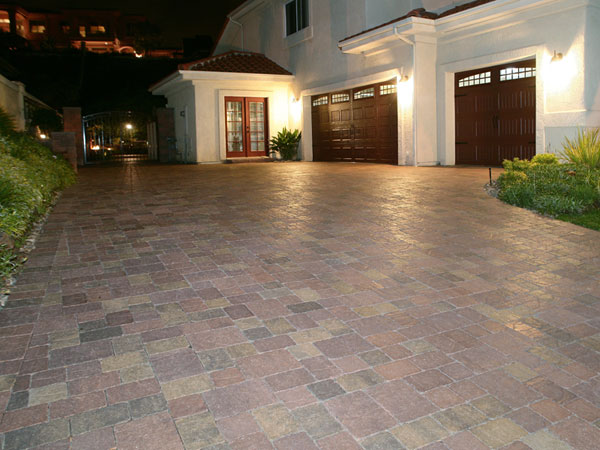 The most affordable material used for interlock driveways is concrete pavers. Stone and brick are the other common materials. Concrete pavers also have the advantage of being available in a wide variety of colors, textures and patterns. 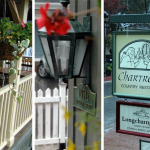 Which allows the homeowner limitless creative designs and combinations to personalize to their unique style. And while interlocking pavers enhance your home’s curb appeal and resale value over traditional asphalt driveways, there are several other reasons why you should get an interlock driveway: affordability, durability, and low maintenance. 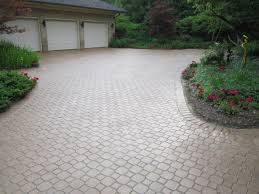 Interlock Driveways are Durable and will Last Decades. The installation process of interlocking pavers creates its strength and flexibility. First, because the interlocking pavers sit on top of a foundation of densely packed gravel and sand; moisture easily passes without causing the pavers to swell or change shape. The base also ensures that the sand filled brick surface won’t settle or crack during freezing and thawing cycles. And, because the pavers do not adhere to one another, when pressure is applied they will shift and settle individually, drastically reducing the likelihood of them cracking, crumbling or otherwise deteriorating (another common issue with asphalt). Interlocking paver driveway maintenance is minimal; requiring just routine sweeping and hosing down of dirt and grime. 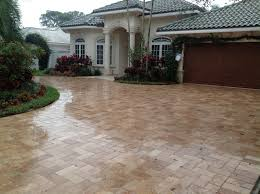 Also, it is recommended to seal interlocking paver driveway every three to four years (every two years if traffic is heavy) to prevent the pavers from absorbing stains or becoming moldy from snow and rain. From a maintenance standpoint, interlock driveways are less likely to develop potholes or large cracks than asphalt. 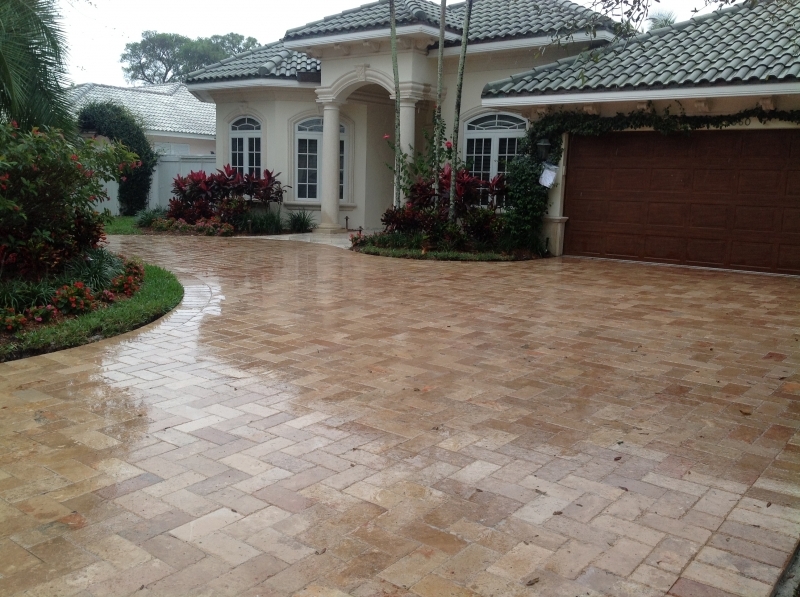 Additionally, individual interlocking pavers can be removed and reset without damaging the entire driveway. For instance, when repairing oil stained patches or accessing utilities underneath your driveway, such as plumbing, electrical, sewer or irrigation pipes. These type of repairs on an asphalt driveway are much more extensive. When upgrading your home to improve its resale value, curb appeal is crucial. It is, after all, a buyer’s first impression. Interlocking concrete pavers, while more expensive than asphalt, significantly enhance not just the home’s aesthetic appeal, but provide durability, quality, and value to your home and property for years to come. Well worth the initial investment. For more information on reasons you should get an interlock driveway visit Mosaik Homes.